This month, Art of Food joins David and Rynn Caputo in making handcrafted Italian cheeses at their historic farmhouse in Spring Grove, Pennsylvania. While honeymooning in Italy, the newlyweds decided to quit their corporate jobs to follow their dreams of becoming chefs. After coming home and realizing the void of cheeses they had grown to love, David and Rynn used their culinary experience in Italy to bring authentic curd recipes to Pennsylvania. The Caputo Brothers Creamery specializes in cultured cheese curds called Cagliata that can be used both by chefs and home cooks to stretch their own fresh mozzarella. This segment features not only the curd making process, but also a farm table dinner at the 194 year-old farmhouse. Art of Food takes a tour of the creamery to see how the traditional Italian Cagliata is made. Throughout the year, the Caputos invite guests into their home to enjoy a five-course meal cooked by David. Guests participate in the preparation of dinner by helping to make cheese and pasta for the meal. Renowned Philadelphia chefs have also embraced making their own fresh mozzarella using the Creamery’s Cagliata. We’ll visit Fork Restaurant in Old City to see how much fun Chef Eli Kulp is having making his own fresh cheese. 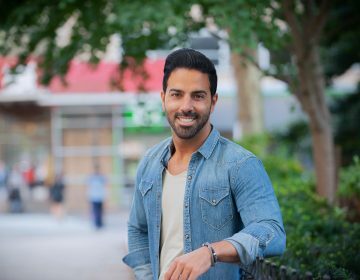 "Movers & Makers" intends to pull back the curtain, showing the region, people and places that you might not know about. It premieres Thursday night at 9 on WHYY-TV. 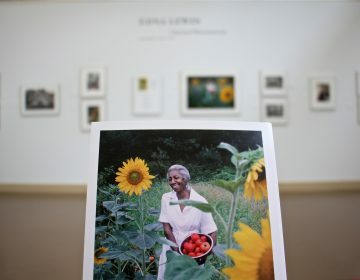 Edna Lewis, the late doyenne of Southern cuisine, gets her due at Haverford College. 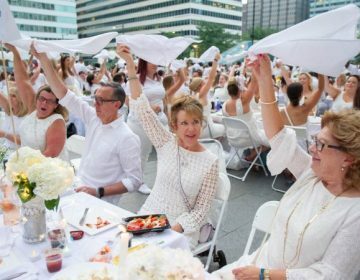 Fashionistas and foodies trekked through the streets of Center City Philadelphia in their finest pressed white attire to dine outdoors at the seventh Dîner en Blanc.